Like all other sports apparels, basketball garments have also gone through lots of changes since the beginning. It has seen a transformation from the baggy shirts to the streamlined ones. Changes in colors and patterns have also appeared with time. Having begun as an easy game almost a century ago, Basketball required the players to wear simple clothes. But as the game became more and more complicated and went from being regional to international; the uniforms also took different shapes. With the changing demands in basketball clothing, the sportswear manufacturers have also started experimenting with new designs. Check out how each time they came up with fresh ideas that kept the basketball fashion moving. The basketball jersey manufacturers first created what you might call a uniform in the year 1920. It was merely a woolen t-shirt with padded shorts. At that time, there was a scarcity of sports clothing companies. But then, as more companies came into the market, the competition increased and new designs started slipping in. Later, short sleeved and sleeveless shirts were manufactured for women and men. Women started wearing knee-caps for special protection. The wool which was used to create the basketball jerseys was breathable and stretchable, unlike those which are used to make sweaters. But, the manufacturers felt the need of a change as the wool was subject to shrinking. Right after the wool, basketball jersey suppliers started manufacturing the jerseys with synthetic materials that became a favorite among the budding athletes. The cooling capacity of these clothes made these more popular. At this time, the apparel manufacturers shortened the bottom wear and players started wearing basketball shorts. 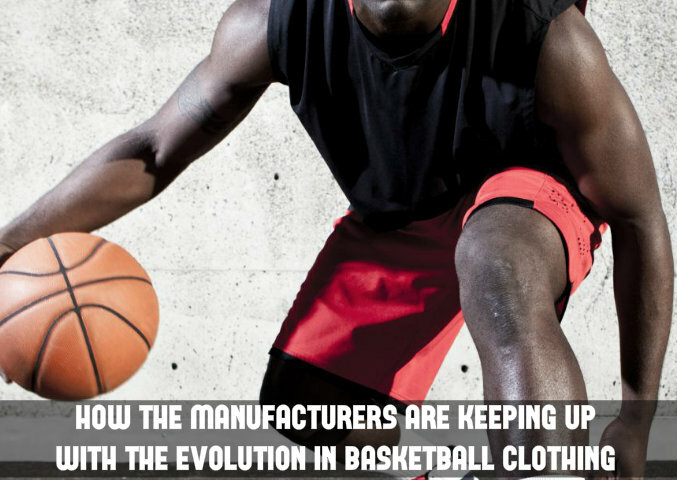 Seeing the growth in synthetic fabric, the basketball shorts manufacturers started using it in their items. In the 70s and 80s the length of the shorts was quite short. But, now the basketball clothing companies are offering a-little-above-knee shorts that prevent chafing. Nowadays, as sports fashion is at its peak, you can see many new designs entering its arena. Sublimation printing and compression clothes are trending in the market. You can find a wide variety of patterns in the sublimated clothes which are basically made of polyester fabric. On the other hand, compression outfits offer protection from the injuries of the muscles and ligaments. At the online stores of the basketball jersey manufacturers, you can find an extensive range of these clothes at affordable rates. You can easily place your bulk order at these stores and style up your basketball team with the trendy outfits.